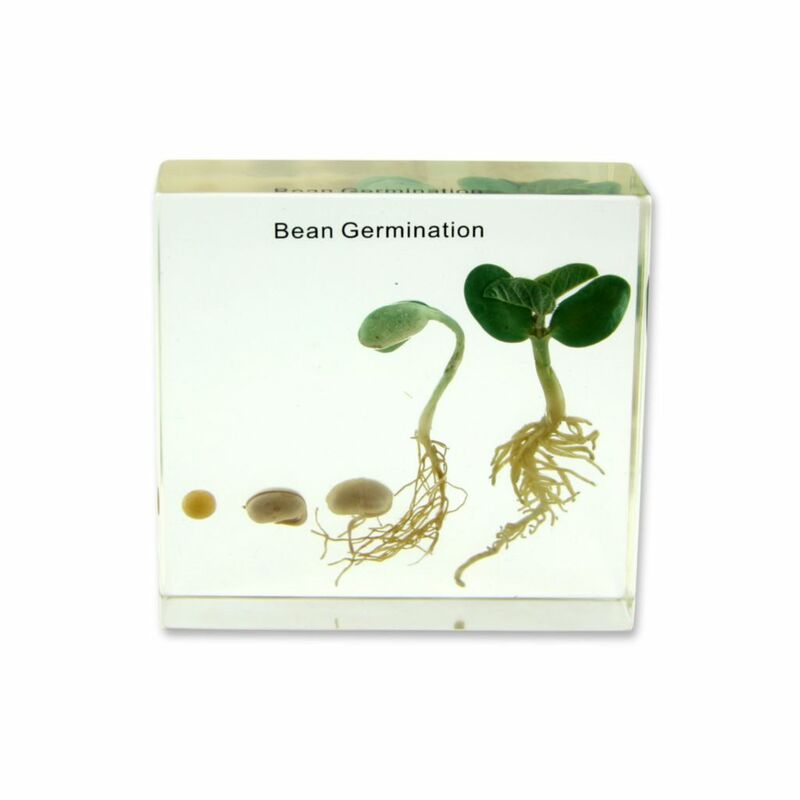 Monocot development is easily observed with this multi-specimen display mount. 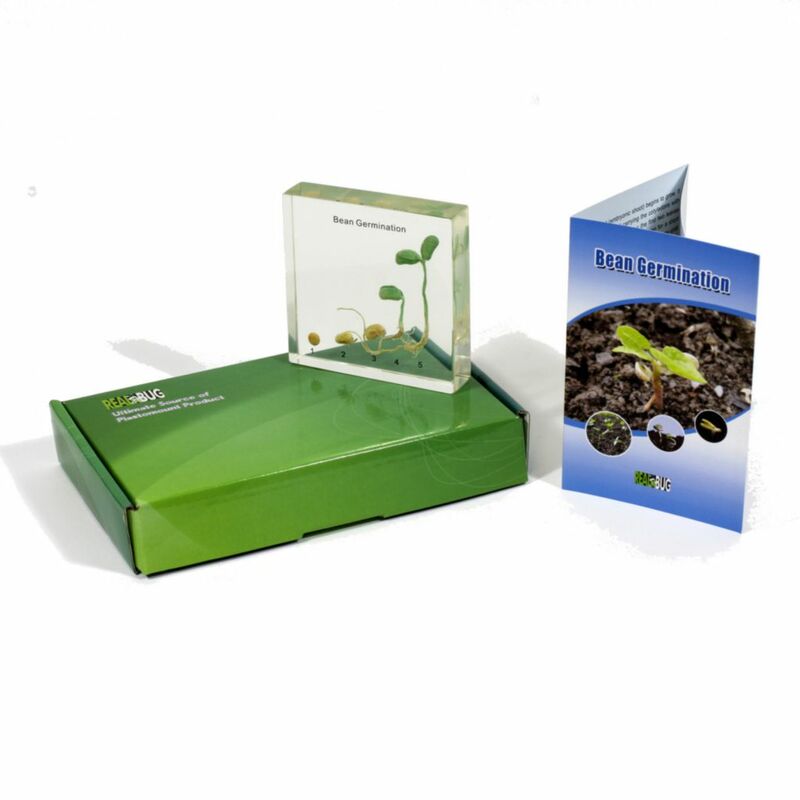 Development is staged from seed progressing to young plant with secondary roots and leaves. 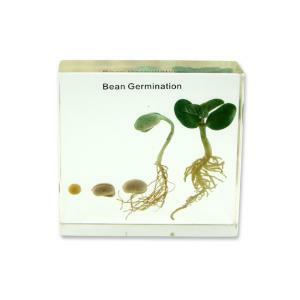 The specimens are embedded in a clear Bio-Plastic™ synthetic mounting material that resists scratching and breaking. Instructional illustration is included. Dimensions: 3 1/2 x 3 1/2 " (7.6 x 7.6 cm).